I would like to share with you a book that might help you on forensic and incident response engagements. 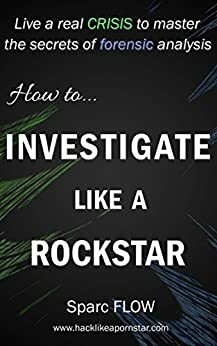 It describes in detail a security incident inspired by real life events, from the first doubtful call made by a bank to the height of tension caused by preliminary forensic analysis. We also share the insights of real crisis management: how to steer people in the right direction, what are the crucial reflexes of a first responder, what to say and do in the first minutes of a security incident, and how to address the inevitable challenge of security versus business continuity. You will mostly find Windows stuff but the story kicks off with an infected Mainframe, so get ready to be blown away!